Forty-three-year-old Elise Bowman had it all, a successful husband, two beautiful daughters, a luxurious three-story home in Sausalito with views of downtown San Francisco, and a busy and fulfilling life as a housewife; that is until the eve of her older daughter’s engagement party when she discovers her husband’s infidelity – pushing her over the edge. Torn by the decision to fight for and save her marriage or cope with her unsolicited new life alone, she hastily flees from everything she knows, attempting to heal her wounded heart. Elise decides Florence would be an ideal place to distract herself, since her younger daughter is there studying abroad. However, within days of landing in Florence, does she realize that perhaps she might be cramping her daughter’s style. So, she buys a one-way train ticket to Rome and leaves, hoping to do some self-reflecting there instead. After spending her days mostly wandering the streets aimlessly, she stumbles by chance upon a ‘Help Wanted’ sign posted in the window of a quant stationary store on Piazza Navona, deciding spontaneously to apply for the job; very quickly afterwards finding herself entangled in a life she’d never imagined possible. 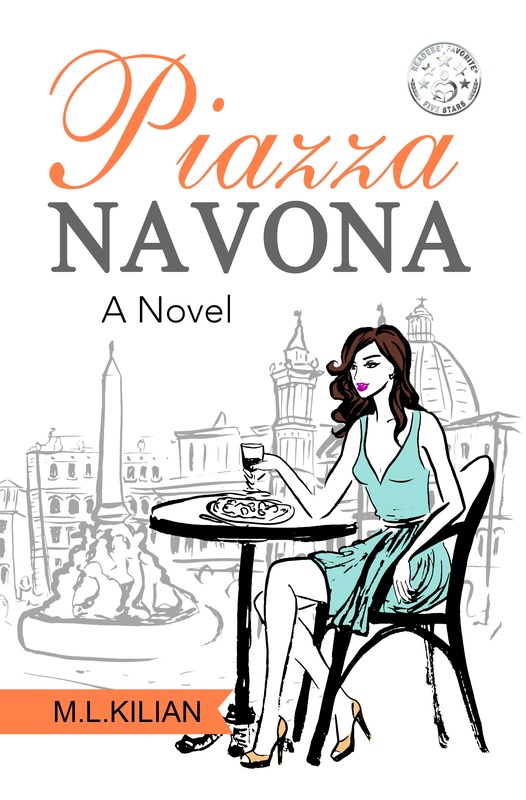 Piazza Navona is part one of a two-part novel; a funny, seductive, heart-warming and very personal story with page turning intensity, compelled to uplift one’s spirits and enlighten the soul.